Exhibitor registration includes entrance to the sessions, refreshments, lunch on Wednesday, and conference handouts for one person. Exhibitors can also purchase one additional booth staff registration for a discounted rate of $250 before August 5 or $350 after that date. Additional publicity options are available through sponsorship. 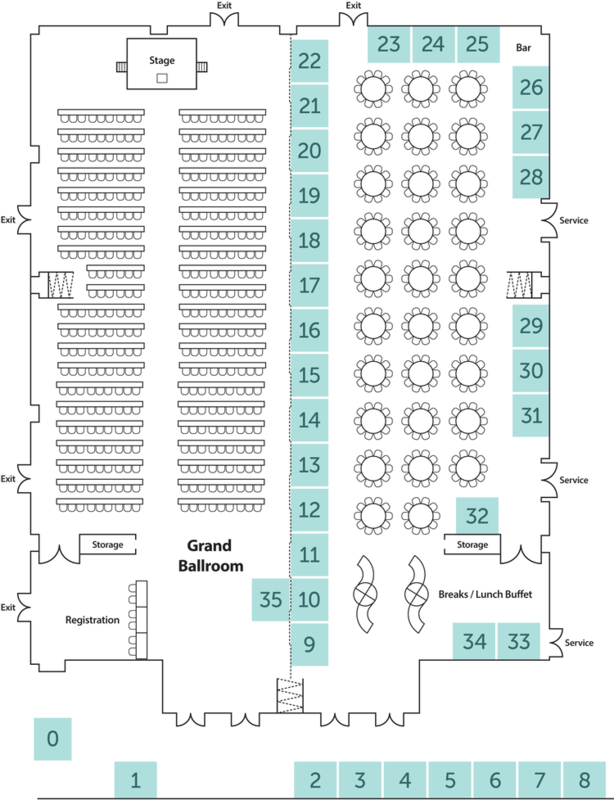 Each registered exhibitor will receive one 8-foot skirted table, one chair, and listing in the conference program. This is not a pipe and drape 8 × 10 booth space. You may remove your table to have a free standing display as long as it does not interfere with your neighboring booth. Setup for all exhibits will be Tuesday, October 9 from 8:00 am – 12:00 pm. You must be completely setup by noon. Parking lot space may be available for larger equipment, but you must contact Katie Skelton to make these arrangements. Tear down will begin Thursday, October 11 at 12pm. By registering online, you accept the terms and fees of the exhibit agreement.